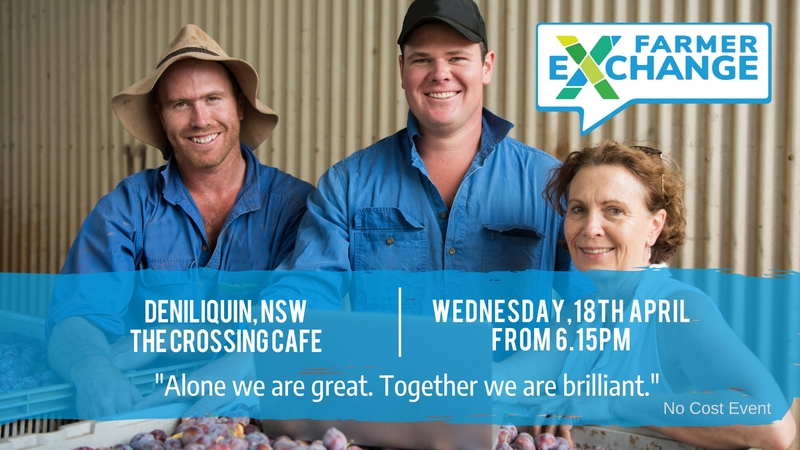 Come along to a relaxed dinner event at The Crossing Cafe to connect with other farmers, learn about the Farmer Exchange, the Farm Table and be one of the first to test this industry-changing service system. We welcome all farmers, farm staff and supporters from across the region to join us. 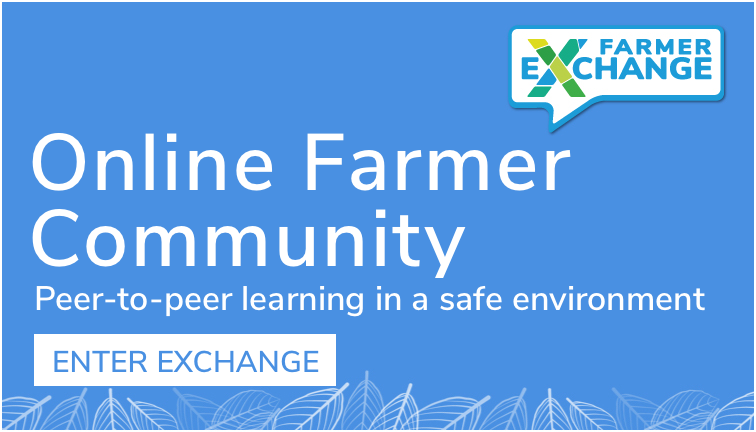 We are fortunate to be partnering with Murray Local Land Services, Ricegrowers’ Association of Australia and Murray Irrigation for this event and look forward to hearing the latest updates throughout the evening. 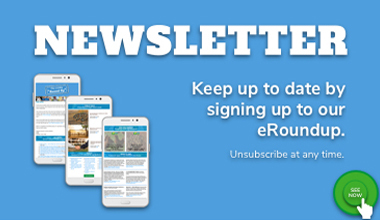 Program to include presentations from Murray LLS, RGA, and the Farm Table. Adrian Smith (LLS Agronomist): how farmers can utilize MLLS in relation to pastures and topical subjects. Scott Ison (LLS Vet): how farmers can utilize Murray LLS in regard to biosecurity and other topical subjects. Irrigation policy: how does it all fit together? The Murray Darling Basin Plan: What is it and what does it mean for Deniliquin and the broader NSW Murray region? 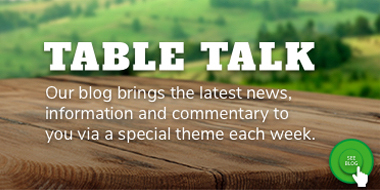 Developed by Deniliquin-based Airlie Trescowthick, the Farm Table, is the first truly national platform that brings together the Australian Agricultural industry’s knowledge and connects farmers in a way never seen before. Particular thanks to Murray Local Land Services, Ricegrowers’ Association of Australia Inc and Murray Irrigation for the support of this event.